Emirates NBD, the leading banking group in the region, was formed in October 2007 as a merger between Emirates Bank International (EBI) and the National Bank of Dubai (NBD), combining the second and fourth largest banks in the United Arab Emirates (UAE) to form a banking champion with the largest asset base in the GCC region. Private Banking, now the pivotal unit of the Bank's Wealth Management Division serving High-Net-Worth & Ultra-High-Net-Worth individuals, families and select institutions, was incepted shortly after that and since then has grown to be the most trusted and reputable name in the Middle East. The company's continued progress in delivering unmatched client solutions and excellent customer service has been recognized by various industry awards. Private Banking at Emirates NBD offers its clients a comprehensive suite of bespoke investment advisory solutions complemented by a personalized red-carpet banking experience. Our investment experts identify opportunities for our esteemed clients to grow and preserve their wealth based on strong convictions resulting from deep local & regional expertise combined with a global outlook across asset classes, sectors and geographies. We have dedicated Private Banking offices in the United Arab Emirates (Headquarters in Dubai with a branch in Abu Dhabi), the Kingdom of Saudi Arabia (Riyadh), the United Kingdom (London) and Singapore. Our teams however have a global coverage throughout the Middle East, Africa, the Indian Subcontinent, Europe, Central Asia as well as South East Asia. Saod has over 20 years of experience at Emirates NBD in various senior roles across Retail & Corporate Banking. He took over responsibility for the Private Banking division in 2016. As a respected member of the Bank’s family, Saod oversees the Private Bank’s client coverage, business support and credit operations across all platforms in UAE, KSA, UK and Singapore. 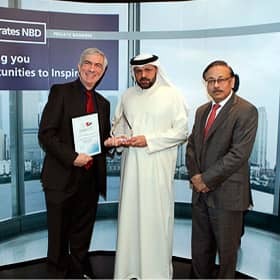 He joined the newly founded Private Banking division in 2010 establishing and building Emirates NBD’s prestigious Royal Accounts team, which has grown into a crucial pillar of the Private Banking segment. His excellent relationship skills and extensive banking experience help him understand and cater to the finer requirements of the Private Bank’s distinguished high-net-worth, ultra-high-net-worth individual and family clients. Saod has also developed close strategic relationships with institutions, sovereigns, merchant families and family offices in the UAE as well as the wider MENA Region. 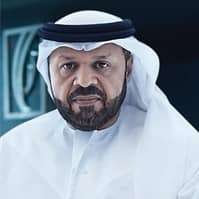 In addition to his General Management role at Emirates NBD Private Banking, Saod has also been a Board Member of the Dubai World Trade Center since 1998. Our ability to anticipate change and manage it to our clients’ advantage has consistently won us global recognition.